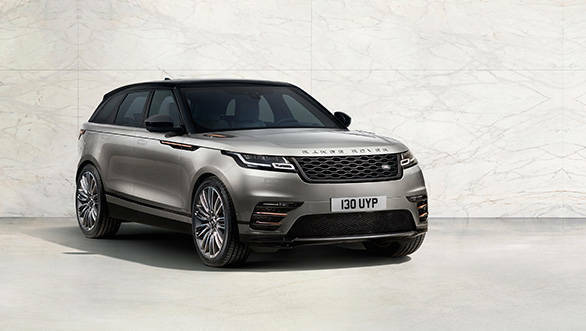 The Range Rover SUV range got its newest addition in the form of the Range Rover Velar which has been positioned between the Evoque and the Sport. Land Rover has entered a new segment with this premium SUV to compete with the likes of the BMW X6 and the Porsche Macan. While the global debut happened yesterday, OVERDRIVE has learnt that the British car manufacturer will be bringing the Velar to India in the second half of 2017. The Land Rover Range Rover Velar will be manufactured at the company's flagship Solihull plant in West Midlands, UK. The same facility manufactures the Jaguar F-Pace, Jaguar XE and the Range Rover Sport. We believe that JLR India will be bringing in the Velar to the country through the CBU route, to begin with, as seen the case with the Land Rover range introduced in India. It is believed that the Land Rover Range Rover Velar shares its underpinnings with the Jaguar F-Pace as both the models have an identical wheelbase of 2,874mm. However, the Velar is longer than the F-Pace by 72mm. It measures 4,803mm in length, 1,903mm in width and 1,665mm in height. The Velar has a wading depth of 650mm. In terms of features, the Range Rover Velar gets the new Touch Pro Duo infotainment system. It features two 10-inch HD touchscreens, one on the dashboard and one just below it. The one on the top handles functions such as a navigation, media and phone menu. It is slightly curved and can be tilted through 30 degrees according to the driver's preference. The lower screen, meanwhile, handles functions like climate control and the terrain response system. The two screens get two rotary controls which can be reconfigured to perform various functions, while there is one rotary knob in between them to control the audio system. Coming to the heart of the matter, the Land Rover Velar can be availed with five engine options. The 2.0-litre turbocharged diesel Ingenium motor will be available in two states of tune - 180PS/430Nm and 240PS/500Nm. The 3.0-litre V6 diesel puts out 300PS/700Nm with a claimed 0-100kmph time of 6.7s. The petrol variants will be powered by 2.0-litre V6 Ingenium motor that puts out 250PS/365Nm. And the most powerful version of the lot will be the 3.0-litre supercharged V6 that will make an impressive 380PS/450Nm and will reach 100kmph in a claimed 5.3s. 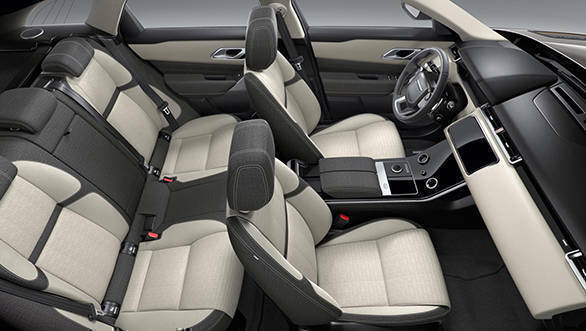 All the motors are mated to Land Rover's 8-speed automatic unit. We also hope JLR's Special Vehicle Operations (SVO) division creates a juicier and crazier version of the Velar. 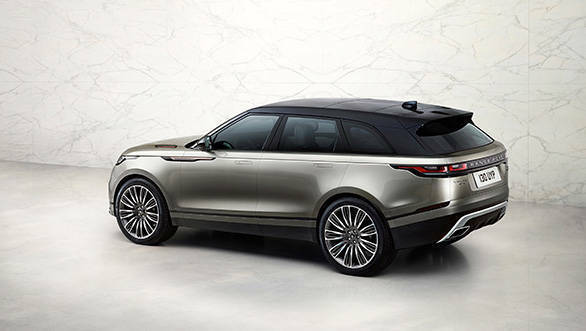 Unlike the Jaguar F-Pace, the Land Rover Velar will be available with all the off-road tech that includes the Terrain Response 2 that lets the vehicle sense and adjust to the appropriate combination of terrain response settings automatically. This system can also be overridden by the driver. The prices for the international-spec Land Rover Velar are out and they start at £44,830 (~Rs 36.78 lakh). This SUV will be launched in the international markets in sometime between June and August. Expect it to come to India soon after that. The Land Rover Velar will be one of the highlights at the JLR pavilion at the 2017 Geneva Motor Show.